The Twinkle Tiles are the eye catcher on the square in front of Texture. This new museum, located in a former flax distribution centre, tells the story of the flax, lace and linen industry in West Flanders. Next to the museum terrace colourful lit and interactive tiles invite the visitors to play and have fun. 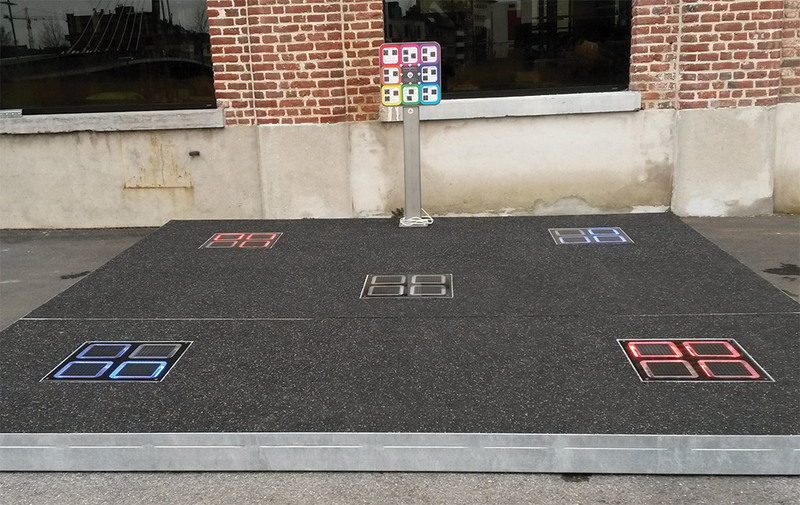 The Twinkle Tiles have been developed by the Dutch design company Vormdrift in cooperation with TNO. The FieldLab in Eindhoven and the company Spereco took part in the installation.